all and everybody loved him." with 516 yards rushing and 347 receiving. 46,000 in Tampa and a healthy Bandits team won 14 games. Anderson tried to join the Chargers before the season, but the Bandits won in court and Anderson remained in Tampa. 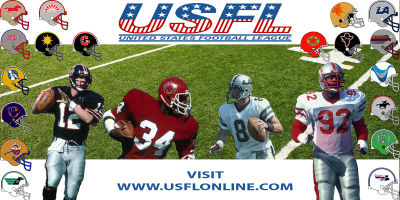 Things weren’t so bad as Anderson flourished in Steve Spurrier’s Bandit Ball offense, having the most all-purpose yards in the USFL (1,690) and 21 touchdowns. In 1985, Anderson, still in uniform with the Bandits after trying to make another jump to the NFL, led the squad with 72 receptions and rushed for 1,207 yards. Anderson accounted for more than 1,800 yards rushing and receiving and had 20 combined touchdowns – that’s 41 TD’s in two consecutive years. In '85, the Chargers regained their presence as the NFL's No. 1 offense thanks to the USFL additions. Anderson combined for more than 750 yards and six touchdowns that season. Former Blitz, Wrangler and Showboat fullback Tim Spencer, pounded in 10 rushing touchdowns as the short-yardage guy. In 1986, Anderson caught 80 passes for 871 yards and nine touchdowns. 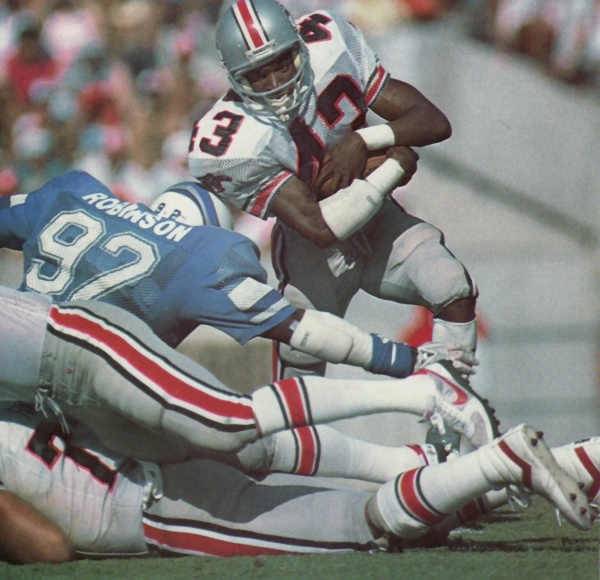 After the strike-shortened year in 1987, Anderson rushed for 1,1119 yards for a 5.0 per carry average in 1988. In 1990, Anderson went back to Tampa Bay, except the Bandit Ball offense was replaced by ineptitude in Buccaneer-land. Anderson, true to form, had 1,110 yards rushing and receiving, but it was his last impactful year in football. Anderson retired after the 1993 season. He had more than 6,500 combined yards, and 31 career touchdowns in his nine-year NFL career.